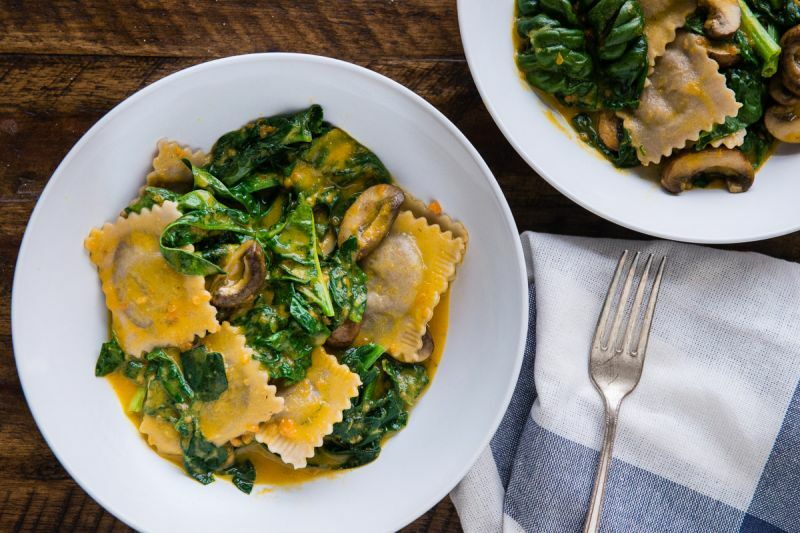 This iconic New Orleans sauteed shrimp dish is tossed in a buttery sauce flavored with Worcestershire and house-made sriracha. 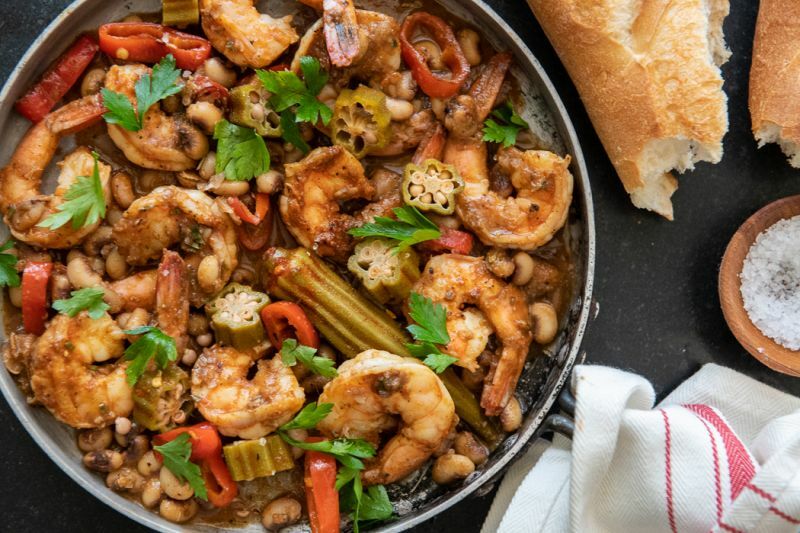 Creamer peas, pickled okra, and sweet peppers bring bright summer veggies to the forefront while roasted garlic baguette is served on the side – perfect for sopping up all that deliciously sweet and spicy sauce. 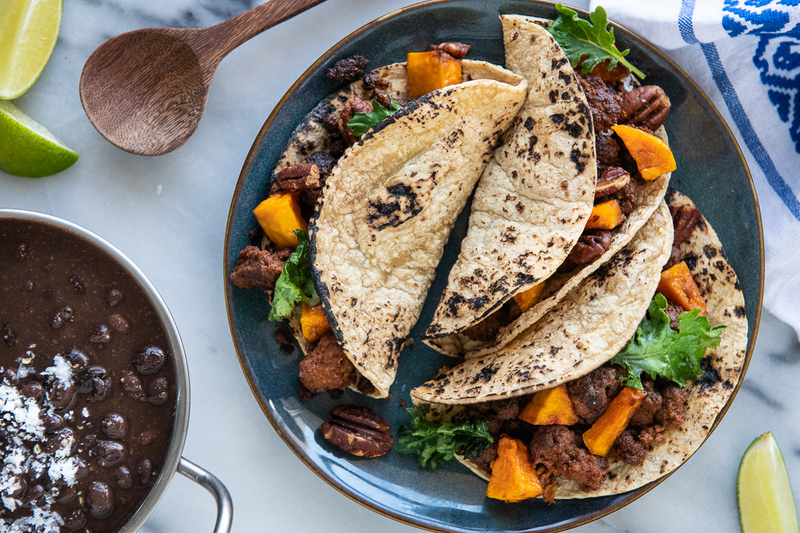 Peaceful Pork’s savory chorizo is stuffed into corn tortillas with roasted winter squash and spiced pecans for added crunch. Served with a side of black beans topped with queso blanco. 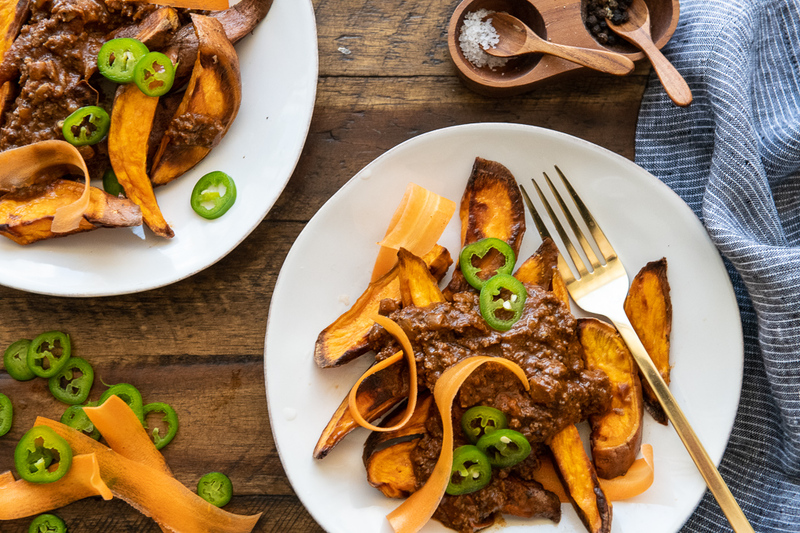 Rich and savory ground beef chili keeps it clean with all Whole30-friendly ingredients, served over roasted sweet potatoes and topped with house-pickled carrot and jalapeno.